Multiple re-creations of my workflow using the authoring tool and manual script execution showed the script was working as intended. It turns out the issue was that the SQL Broker wasn’t enabled for the ServiceManager Database, thankfully an easy fix. 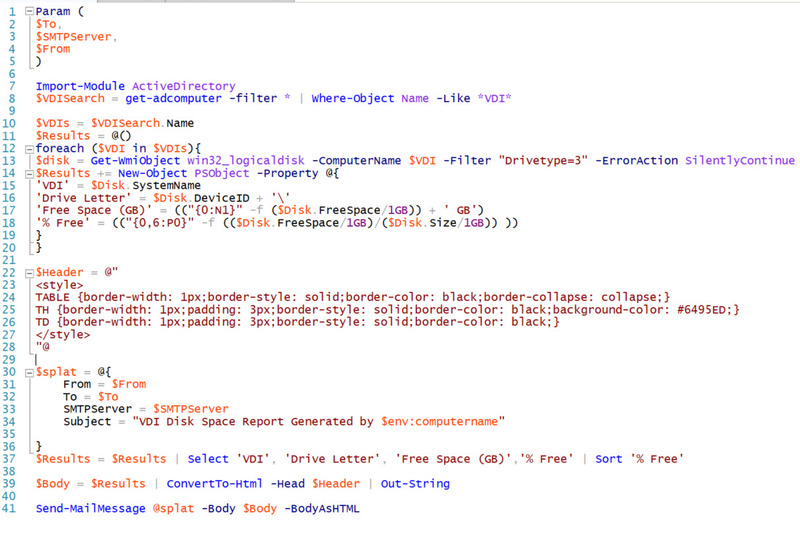 Ran the Query ALTER DATABASE ServiceManager SET ENABLE_BROKER. 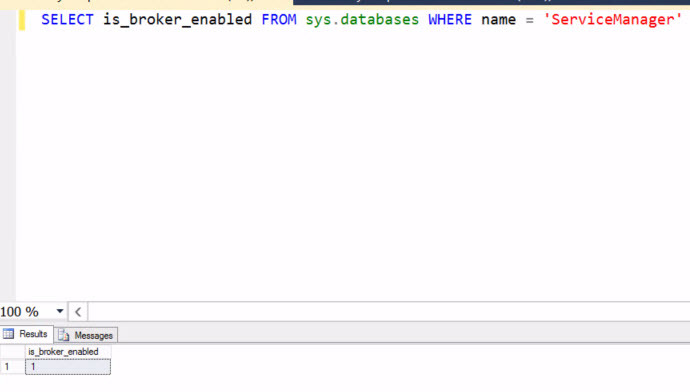 Note: If it times out due to a lingering connection, “alter database ServiceManager set enable_broker with rollback immediate;” does the trick too. 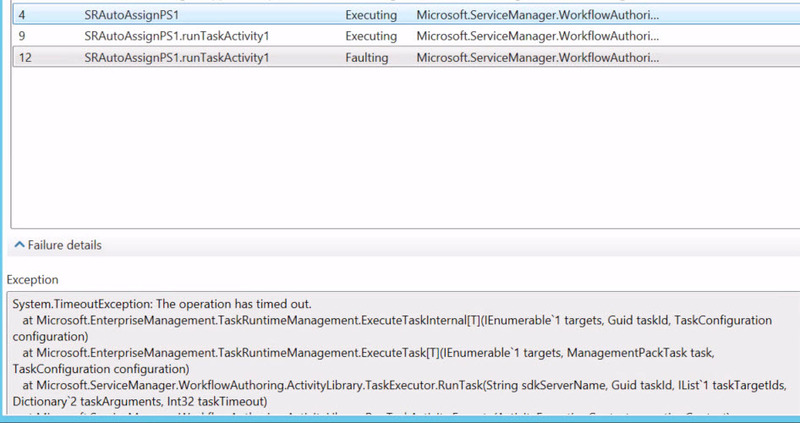 Restarted the SQL Server Agent and all Service Manager services and Workflows now run as expected! I work with a customer with a large VDI environment. 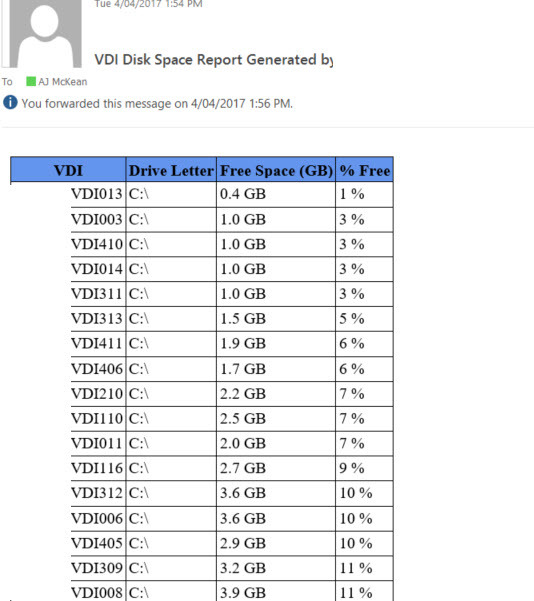 They had asked for a weekly report to generate with an overview of VDI disk free space. I have created the script below to do just that. I recently had an issue with a customer with a missing VM after it was shutdown for maintenance. 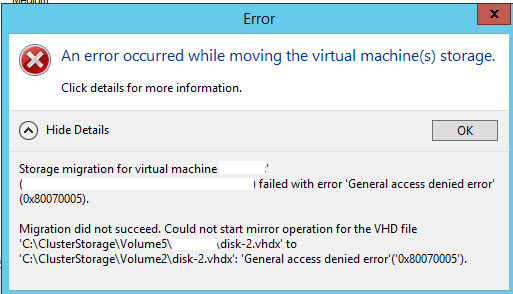 As soon as it was started in Virtual Machine Manager, it immediately went to a Failed state and was missing from all Hyper-V hosts and stuck in a Failed state in Failover Cluster Manager. 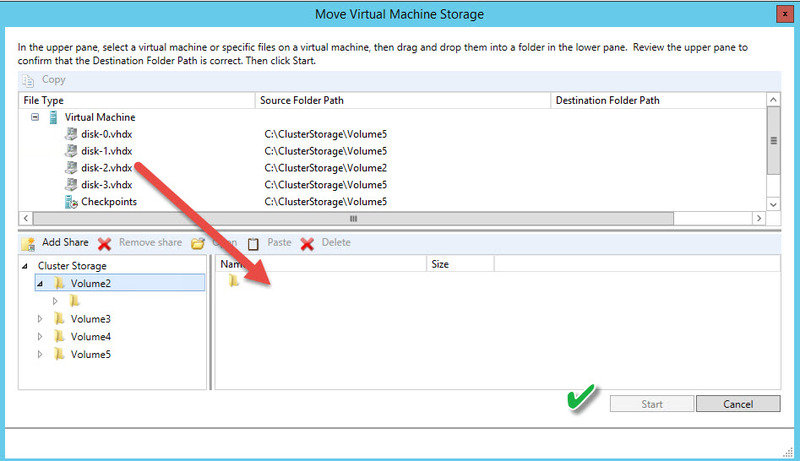 The unusual thing was VMM and Failover Cluster manager thought they were on different hosts(follow steps below for the host that Cluster Manager says it should be on). 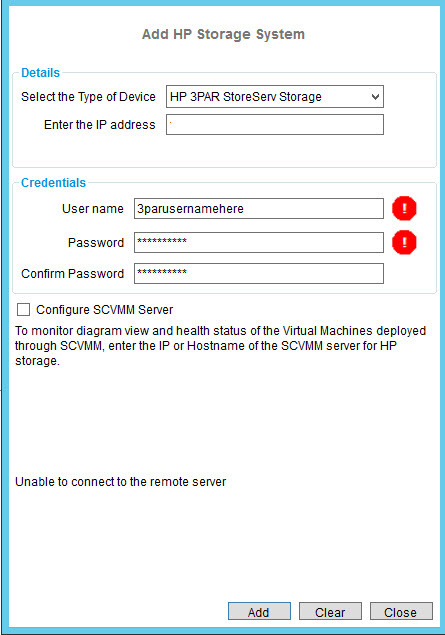 The issue was due to the missing symbolic link to the VM on the Host it was missing from. 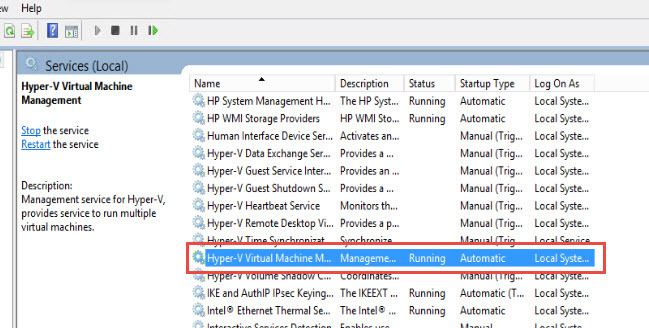 Finally restart the Hyper-V Virtual Machine Service and all should be back online!